Since returning from Lesotho in 1977 Alan Beverly MSc. has been fascinated with all aspects of this species, the individual plant, habitat, and ecology. Starting with a small can of seed harvested from several populations he began experimenting with seed germination. Little did Alan realize that this endeavor would lead to a treasure-trove of horticultural knowledge that would go on to influence his profession as a Landscape Contractor and Arborist. Today our nursery ships many hundreds of plants per year to succulent enthusiasts and professional landscapers alike. We invite you to discover all this amazing plant has to offer. 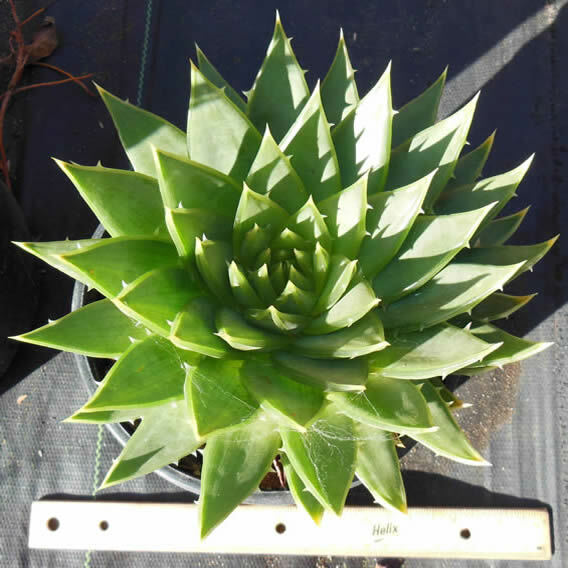 Aloe polyphylla is a beautiful and rare species evolved in the high mountains of Drakensberg in southern Africa. 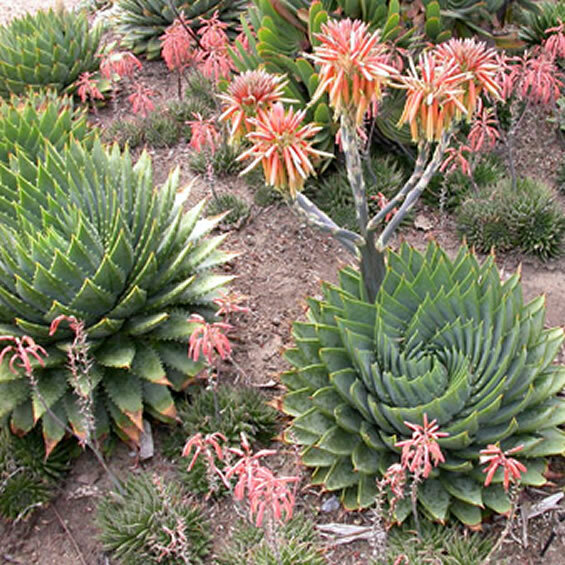 The unique spiral arrangement of its leaves make Aloe polyphylla very special. 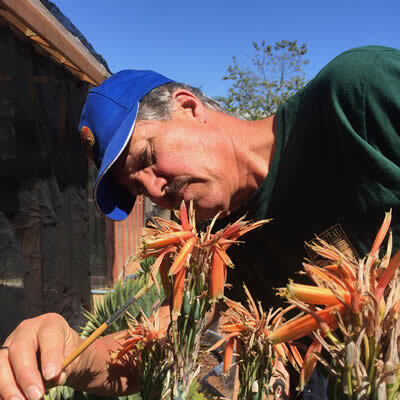 "I have grown Aloe polyphylla for 40+ years since returning from Lesotho in 1977 and have offered this wonderful species to the public since 1992." 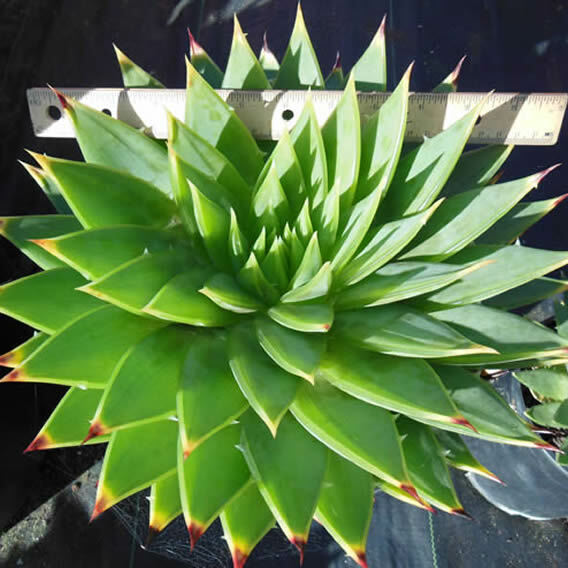 Through years of patient cultivation we have developed an unmatched propagation process in our Aloe polyphylla nursery allowing us to ship live spiral aloe plans to all 50 United States. 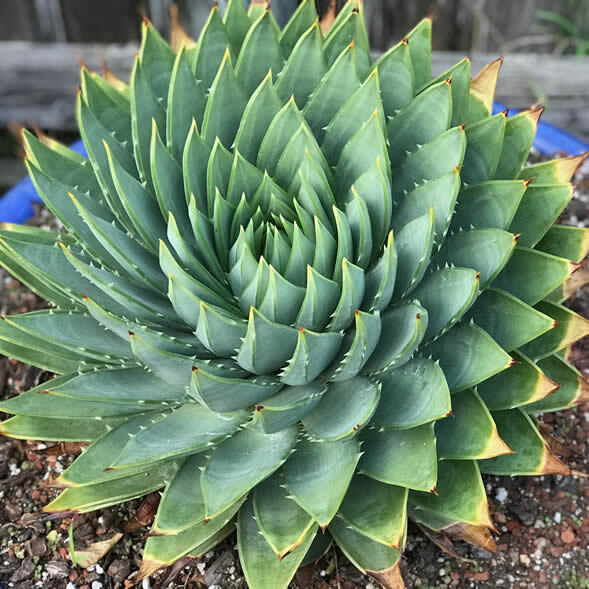 We ship spiral aloe plants from our nursery in Santa Cruz, CA directly to your home or place of business via UPS ground or three day service. Our time tested growing, packing and shipping processes ensures that your Aloe polyphylla plants arrive to your location in healthy, pristine condition. Plants are shipped every Monday and Tuesday using UPS air or ground service making sure they are delivered by the end of the week. 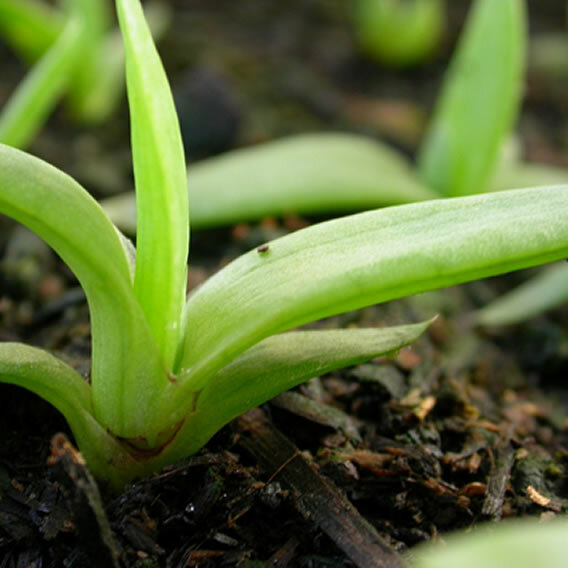 All orders include a sample of our best Aloe polyphylla planting medium and a care and our cultivation guide.